Dory is an adorable blue tang fish, who first crept into our hearts in the movie "Finding Nemo" and now features in her own film - "Finding Dory" (voice by Ellen DeGeneres). My now teen, loved "Finding Nemo" and we watched it over and over again. Dory is a rather forgetful fish, with an endearing character. The blue tang fish also known as Paracanthurus hepatus, are a species of Acanthuridae, or surgeonfish. They are very delicate fish and only really breed in the wild. 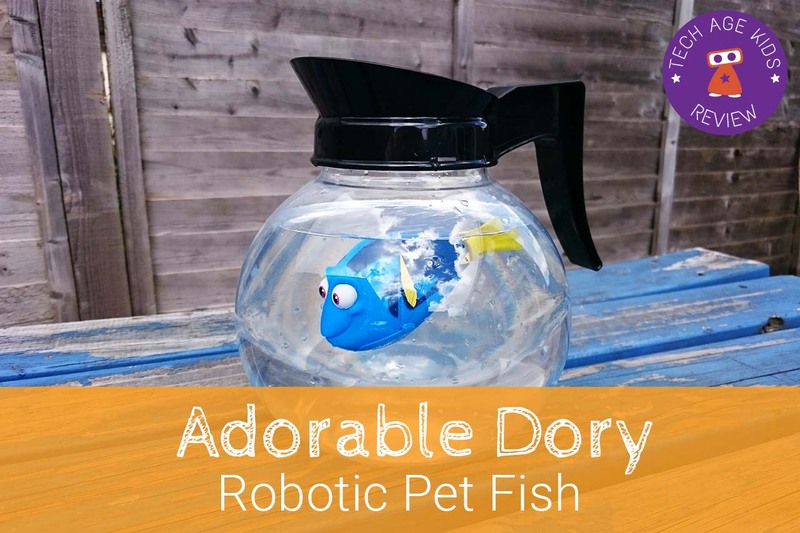 Although it may be a temptation to have your very own live Dory, we recommend you rather enjoy a robotic version and leave the blue tang in its natural habitat. Finding Dory will make the blue tang fish popular—and that's not a good thing. This year parents have great choice in satisfying their little ones' desire for a family pet in the form of a robotic pet. From dogs, to birds and even dinosaurs, our guide on the latest robotic pets is well worth a look, for any parents not interested in the responsibilities of a real pet. A robotic fish is a very good idea and saves a whole lot of hassle when is comes to maintaining the fish tank. With the new Finding Dory movie, there are lots of new robotic fish available on the market. 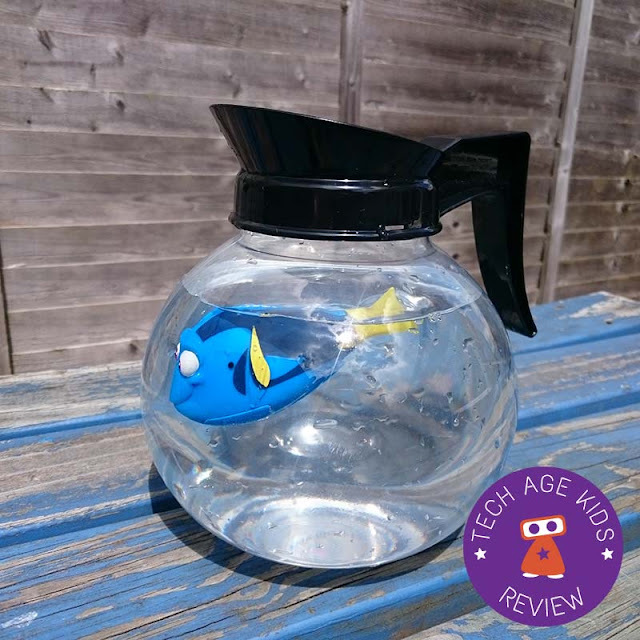 Disclaimer: Finding Dory - Coffee Pot Playset was sent to us to try out. Views are our own. The coffee pot playset comes with one coffee pot (plastic), one Dory Robo Fish with a rubber-like tail, and a set of extra batteries (bonus). A welcome new feature, an improvement from previous Hexbug robotic fish we've had, is that the fish automatically switches off whilst in the water. Movement will activate the fish again, like tapping the side of the coffee pot or swirling your finger in the water. The coffee pot is big enough for one maybe two fish, but you'll quickly want to get a bigger tank for the fish to swim around more "naturally". Getting your fish to swim well is all about balance. We found Dory kept swimming in circles toward to outside edge of the tank. We tried to adjust her weight with some sticky tack, but she's quite a "heavy" robotic fish and it didn't make much of a difference. We found our Dory enjoyed swimming in circles around the other edge of the coffee pot. Even when we placed her into a large tank, she opted for her favourite swim style. We've yet to see Dory swim in other directions. After a few minutes Dory would stop swimming. A light tap on the coffee pot or a stir of the water would wake her up again. This is a neat power saving feature, which can save you lots of batteries, when you forget to "switch off" your robotic fish. To properly switch off the fish, remove it from the water and dry off completely. There are more characters to add to your collection including Marvin, Nemo and a new beluga whale named Bailey. There is also a meandering river for the robotic fish to swim through. 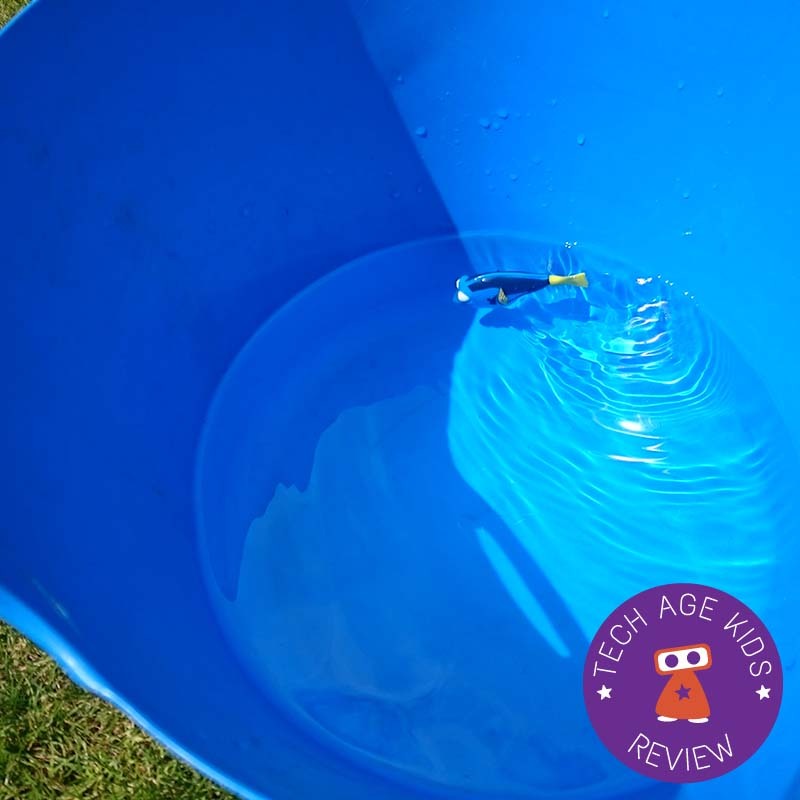 However kids would probably enjoy seeing the fish swim in a much bigger tank and we really like the idea of a fish tank filled with robotic fish! Why not get creative and decorate your tank with LEGO for example. If you already have some Hexbug Aquabots, Dory and friends would make a great addition. 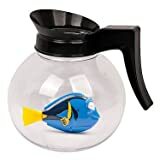 We added an Aquabot into the coffee pot with Dory. Ours is quite old and doesn't switch off after a determined time, so this meant Dory was kept awake with our other wriggly robotic fish. The kids loved watching them swim around. Find more New Robotic Pets for 2016.